CHICAGO—Hyatt Hotels Corporation has opened Hyatt Regency Tianjin East in the northern Chinese coastal city, located near Beijing, marking the return of the brand to Tianjin. The original Hyatt Regency Tianjin opened in 1986 as the first hotel in China under a Hyatt brand; it stayed in operation for two decades. 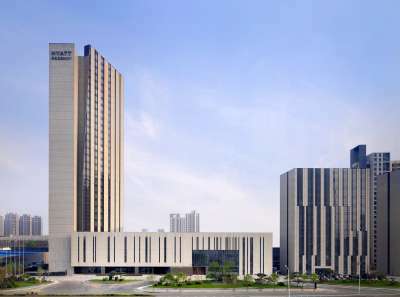 Today, the new Hyatt Regency Tianjin East is located in the Hedong District, 20 minutes from Tianjin Binhai International Airport and 10 minutes from the historic heart of Tianjin with access to the Tianjin Economic Development Area (TEDA), Dongli, Beichen, Wuqing and Xiqing industrial zones. It is also close to Tianjin Line 2 Metro Station and Tianjin Main Railway Station, a regular stop for high-speed train services from around China, including the Tianjin-Beijing line that takes 28 minutes to reach Beijing. Hyatt Regency Tianjin East offers 306 guestrooms and suites, including a six-story Regency Club. The design blends modern and traditional Chinese decor with taupe and leaf-green highlights. Design elements include contemporary sculptures by famous Chinese artist Xie Aige from her Tai Chi White Series. Semi-open marble bathrooms feature a deep-soaking tub, rainforest shower and separate toilet. All rooms offer 46-in. LED TV, iPod dock, tea and coffee sets, and complimentary high-speed broadband and wireless Internet access. Regency Suites, starting at 1,108 sq. ft. also feature separate living and dining areas, coffee machines and moon bathtubs. Regency Club guests have exclusive access to the 24th floor’s Regency Club Lounge, which offers complimentary daily breakfast, all-day refreshments and evening cocktails, use of the Regency Club boardroom, plus express check-in /out and dedicated receptionist and concierge services. The designed double-height space also features an open kitchen and outdoor roof terrace. In addition, the hotel has three restaurants: Wok in the Garden is set beneath a glass ceiling in a garden conservatory and specializes in authentic Cantonese and northern Chinese cuisines; Market Café, which offers Asian and international dishes, has three open kitchens, 30-ft. ceilings and stylized Chinese screens; and The Lounge, located in the lobby, is set against a four-level Water Wall and central fireplace. It serves Chinese teas, appetizers, wines and daily High Tea. The lounge also incorporates a business center. 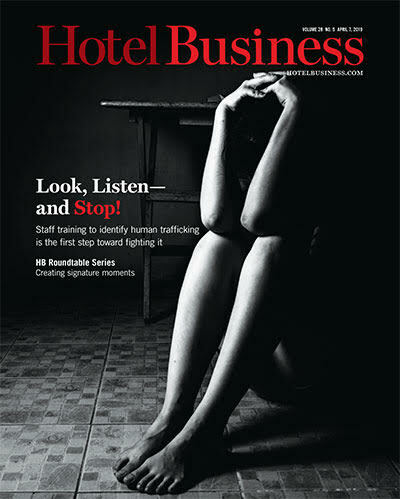 The hotel’s more than 21,500 sq. ft. of meeting and wedding venues space includes the 8,072-sq.-ft. Regency Ballroom and a 3,444-sq.-ft. Ballroom Foyer with a show kitchen and floor-to-ceiling windows. The Residence is a multi-functional art space next to the lobby featuring four naturally-lit function rooms with a central break-out courtyard, offering a barista bar and wine library. Yue Spa offers three foot massage rooms and six spa suites, including one couple’s room with a mosaic whirlpool bath, private ensuite and dressing room. In addition, the fitness center features an 82-sq.-ft. indoor swimming pool, separate male and female hydrotherapy facilities, plus a glass gym overlooking the pool equipped with high-tech Life Fitness cardio and strength machines.